I’m always on the hunt for a good pressed powder, especially one that doesn’t settle into those fine lines around my eyes. I’ve tried a lot of the expensive brands and have liked many, but have been less happy about the price tag. I mean, this girl doesn’t have a job! I read about a powder from Physician’s Formula and was anxious to try it. I haven’t really used this brand since I was much younger, but I gave it a shot and fell in love. Physician’s Formula Mineral Airbrushing Pressed Powder SPH 30 is divine. The ultra-fine powder delivers impeccable coverage and gives my skin a flawless airbrushed finish. I apply it after my beauty balm for just a little more coverage. The appearance of my fine lines, wrinkles, pores, and sun damage are visibly reduced, and my skin has a softer look and feel. It holds up very well, even when I work out and sweat up a storm. 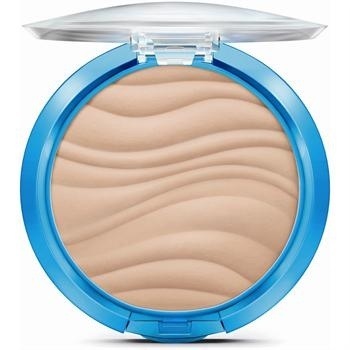 Best of all, it’s hypo-allergenic and contains a high SPF. It’s only available in three shades, but even the translucent would be great for touch-ups. My skin stays shine free and looks radiant. FYI-if you’re going to use it as your primary sunscreen, make sure to apply it 15 minutes prior to sun exposure and use in conjunction with a water-proof sunscreen if you’re aqua bound.